NEWS RELEASE: "NUMBER ONE SON JOINS CHAN BIRTHDAY PARTY"
Hollywood character actor James Hong joins the birthday celebration for author Earl Derr Biggers, the creator of the fictional Honolulu detective Charlie Chan. The birthday event is part of the larger two-day celebration, "The Charlie Chan Mystery Weekend," hosted by Steven Fredrick, a local film historian known for his collection of rare Hawaii-theme films. The celebration kicks off at noon on Sunday, August 22nd, at O'Toole's Irish Pub with a birthday toast to Earl Derr Biggers. Fans and friends of Charlie Chan will gather for this one-hour social hour at 902 Nu'uanu Avenue. No entrance fee for this event. At 1:00 PM, on Sunday, August 22nd, Fredrick plays tour guide for the Charlie Chan Mystery Tour, a walking theme-tour to Chinatown sites related to police detective Chang Apana, writer Earl Derr Biggers, and actor Warner Oland. At 5:00 PM, on Sunday, August 22nd, the celebration for Biggers moves to the Louis Pohl Gallery, 1111 Nu'uanu Avenue. This birthday reception includes a meeting actor James Hong. Hong portrayed Barry Chan, Number One Son, in the 1957 TV series "The New Adventures of Charlie Chan". On Monday, August 23rd, the Biggers celebration continues as Fredrick hosts a movie screening of a rarely seen Charlie Chan film. Earl Derr Biggers was born in August of 1884 in Warren, Ohio. After vacationing in Waikiki in 1919, Biggers created the immortal Honolulu detective Charlie Chan for his novel, "The House Without a Key." Five additional Chan novels, and a Hollywood-produced film series, followed. James Hong is a noted Hollywood character actor, with 400 character credits to his resume. His major film credits include "Blade Runner," "Chinatown," and "Kung Fu Panda." He is the last surviving actor to portray Number One Son in the Charlie Chan series. The Biggers Birthday Toast & Social Hour at O'Toole's Irish Pub. This is an open-house event. Light pupus will be served. No cover at door. Sunday, August 22. The Charlie Chan Mystery Tour is a three-hour walking tour. $30.00 per person. Liability forms and reservations are required 48 hours prior to the tour date. Sunday, August 22. The Biggers Birthday Bash is reception at the Louis Pohl Gallery. $5.00 for advanced ticket, $7.00 at the door. Sunday, August 22. The Charlie Chan Movie is at the V.I.P. Screening Room in Hawaii Kai. Doors open at 6:30 P.M. and the program starts at 7:00 P.M. Cost: $8.00 per adult. Reservations are required. Monday, August 23. Funds raised from this event go for the preservation of original motion-pictures produced about Hawaii, including vintage Charlie Chan films. For additional information, call (808) 395-0674 or email at filmguy54@hotmail.com. 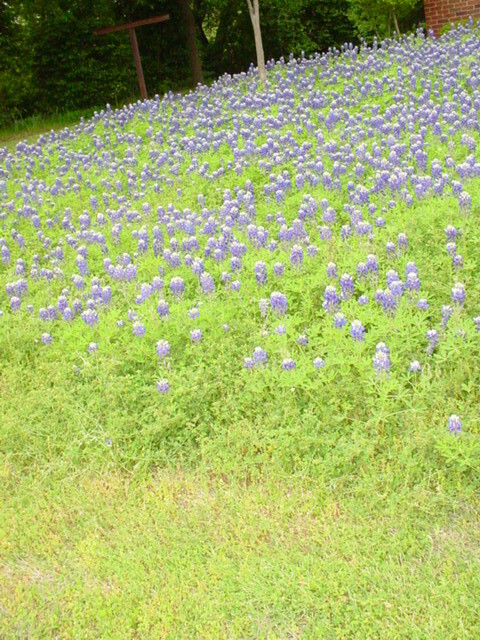 Steve, I am looking at your website at http://stevestoursandfilms.vpweb.com/ and I love it! You relocated to Hawaii in 1994. . . . Had you lived there before? It was June of 1994 that I landed in Hawaii. After living in Santa Monica, and working in the film industry for 15 years, I relocated to Maui. Currently, I reside in the Hawaii Kai area of Honolulu, on the island of Oahu. You found “hundreds of 16mm films that a local library had thrown away.” Were they of different genres or . . . ? Most of the films that I found were 16mm educational films, i.e. driving instruction, medical, serious subjects, college level. Are these films among the 750 films that you make available for programs at http://stevestoursandfilms.vpweb.com/TheFilms.html? No. All of the library films have been sold, traded or destroyed. Do you ever make them available for individual purchase because Maven is quite taken with Charlie Chan in Chinatown!! The films are not available for purchase. This is a privately-held collection. Do you show them to friends, audiences and/or anybody else who loves old movies?!? As a film lecturer, I am available for hire. At an appropriate location, I set up a 16mm movie projector and screen. Working with the client, we create a make-shift movie theater area. With the guests, we watch and discuss the movies I am hired to show. What kind of people show up for these films? People of Hawaii are curious about their image as presented on film. Over the years, I have been hired by libraries, museums, schools, senior residences, and for private parties. “Chicken Skin!!!" A thrilling experience. People are amazed at the images in the old movies. As the owner of the rarest collections of old-Hawaii films, people have not seen these films in many years. You mention Glen Grant, who created the Honolulu Ghost Walks, and a “haunted movie tour of Oahu.” Would you consider working on this in book or some other venue for tourists? Those of us who can’t get over to Hawaii are curious about your tours. A book, based on my film collection, is in the works. Could you tell us how the ideas for your tours got started? About three years ago, I answered an ad to be a ghost tour guide. After fulfilling my contract, I left the company and formed my own tour company. The Charlie Chan Mystery Tour involves finding the Chinese Detective over a four hour hunt that winds through the same sites frequented by Chang Apana, Earl Derr Biggers and The Black Camel (1931) cast and crew. . . . How much research did you have to do to find all the locations for what amounts to a two-mile hike?! Lots of digging through old files. Years and years. My Charlie Chan/Chang Apana research continues as we conduct this interview. I'm always finding some new and exciting item to add to my tours. How did you come across the coffee shops, gambling houses, movie houses and (what Maven would want to check out first!) Number One Son’s Residence?! A lot of very detailed research went into finding these Chan-related locations. I read many old newspapers and interviewed many senior citizens of Honolulu. About Charlie Chan: When did you discover Hawaii’s Number One Chinese Detective? 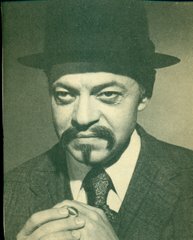 Were his movies among the 16mm films you found or did you discover him through television and/or the books by Earl Derr Biggers? Like so many "baby-boomer" kids, I discovered the Charlie Chan movies on television in the mid-1960s. 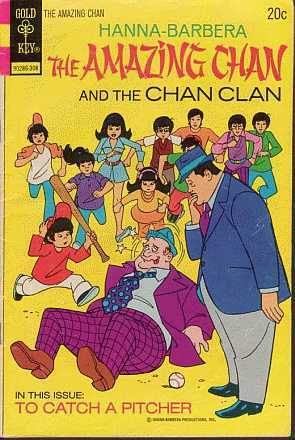 In my memorabilia collection, I own an original Chan comic book, which I purchased in 1965. Do you have a preference as to the actors who played Charlie Chan in Hollywood?! And the actors who played his children in the series?! My favorite Chan acting team is Sidney Toler and Victor Sen Yung. I like the enthusiasm that Yung brings to his role. I love horror and mystery films, especially those movies made during the 1940s. In my opinion, these films are well-crafted, tightly-budgeted masterpieces. I like the atmosphere and quick pacing of films from this period. Of the three major actors that portrayed Charlie Chan, Warner Oland is the most believable as the character. Hands down, Oland is Chan. Are people in Hawaii today familiar with Chang Apana, the novels of Earl Derr Biggers and the films of Charlie Chan? If you are hip to Charlie Chan, you are hip to Chang Apana. In my opinion, these characters go hand-in-hand. On Oahu, there is a small group of South Pacific cinema fans who are familiar with Charlie Chan, Earl Derr Biggers, and Chang Apana. Is there any resentment about Charlie Chan being played by Caucasian actors? In Hawaii, this is a sensitive topic among the local Asian community. There is great awareness about the past Caucasian actors who have portrayed Charlie Chan in the movies. Maven is very interested in The Hawai’i Wartime History Tour. . . . Maven has background at http://tommenterprises.tripod.com/id59.html. Most of us on the mainland have no idea what went on AFTER the Japanese attacked Pearl Harbor on December 7, 1941. How did you get the idea for this tour? When I worked for the State of Hawaii, I spent my lunch hour reading Honolulu newspapers from World War Two. It took me about three years to read the newspapers from December 1941 to December 1945. I created my own index related to wartime entertainment and local lifestyle during the martial law years in Hawaii. I find the war years in Hawaii a fascinating time period. Everybody who lived here, at that time, was affect by the military taking over the Territorial government. Local people lost their everyday rights. It was an intense period in Hawaii history. Did you interview people who were living in Hawaii at the time of the Pearl Harbor attack on December 7,1941? Did you find these sites by plain old-fashioned research? Both. During the past few years, I have interviewed elderly local people who were children during the war years in Hawaii. A child's point of view about martial law is different from an adult's point of view. Through my interviews, I have discovered that it was more of an adventure for children during World War Two. And last . . . and not least to Maven’s mind! . . . is The Honolulu Ghost Tour! Is this a carry-over from Glen Grant’s Honolulu Ghost Walks or is it entirely your tour? Uncle Steve's Honolulu Ghost Tour is an original creation. Glen Grant was the best of the ghost story-tellers in Honolulu. Before his passing, I attended one of his mystery tours. I did not have the opportunity to take Glen's ghost tour. Your tour includes “haunted sites and mystical places in downtown Honolulu and Chinatown” – From Iolani Palace to office buildings and a rest stop at a haunted bar. . . . How did you find out about these places and/or how did you select which places to cover? When I tell people that I am a ghost tour guide, they open up to me. I hear many Hawaii-related ghost stories. Research, research, and more research. On my Honolulu Ghost Tour, I tell ghost stories related to the Hawaiian culture. Plus a special treat for Halloween, 2009 . . . THE “WALK WITH THE DEAD” GHOST TOUR ! ! ! . . . . How did this tour come about? Was it a natural progression from the Honolulu Ghost Tour?! My tours keep evolving. On my Honolulu Ghost Tour, I tell three kinds of ghost stories. First, I tell fun ghost stories about playful spirits. Followed by ghost stories about curious spirits. Then, I tell the "blood and gut" "Jack-the-Ripper" type of ghost stories. I do not accept children on my ghost tours. Some the stories are too intense for them. For the "Walk With the Dead" tour, I don't hold anything back. This tour is for adults only. I tell every mad, insane story about Honolulu haunted sites that I can think of. Steve, is there anything that Maven hasn’t covered that you would like to add? I take a lot of pride in my tours and film programs. I have taken legal action to protect all areas of my business. When in Honolulu, please look me up. I'll be happy to take you on a tour of old Hawaii. After taking one of my tours, you'll never look at Chinatown, and Honolulu, in the same way again. Aloha. Maven has received a recommendation of Steve's Charlie Chan Tour in Hawaii by LOU ARMAGNO, Hawaii. . . . May Steve and his tours thrive and prosper! "The Amazing Chan and the Chan Clan"